One of my “bents” is finding unique ways to celebrate people that I love. This can mean making a unique cake for friends, surprise parties, even wacky practical jokes. This interest plays out in our family. For numerous reasons, I have searched for effective ways to celebrate and remember who we are. I think in my desire to make up for not being enough of the-get-dirty-on-the-playground- kind of mom, I have looked for other ways to celebrate with our kids. Also, because we live overseas in Japan, we are mostly separated from our extended families and have a unique lifestyle with the blending of cultures. In particular, because our four children are all adopted, I especially desire to give them a strong foundation in which they feel grounded, special, and unique. Here are some ways that we try and do that. Birth-day books: Each of our children’s stories of birth and adoption is precious and unique. There was pain and trauma involved, but redemption as well. 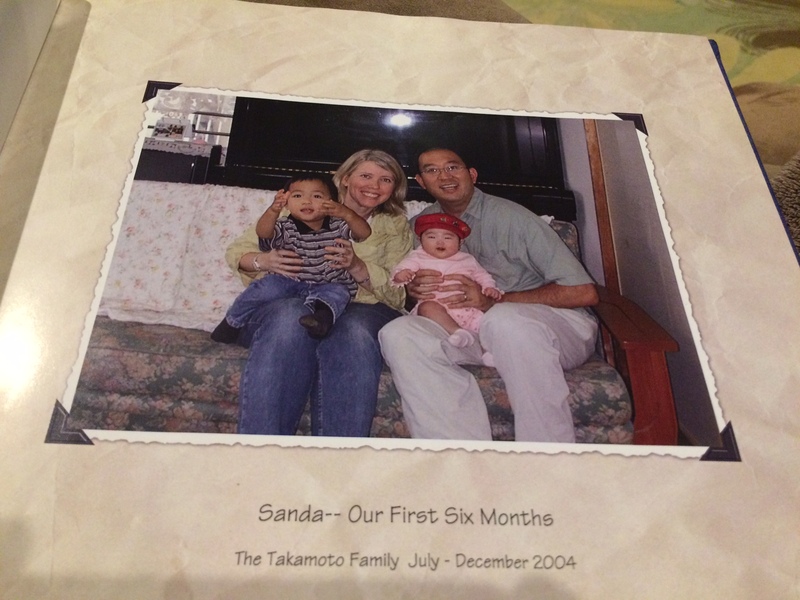 When we received each child, I bought a simple journal for and did my best to write in it the story of their early days. I printed out some of the email announcements and other correspondence we sent out. Each year since we started those books, my husband and I have tried (!) around New Year’s to set aside a few hours and write in each of their books. 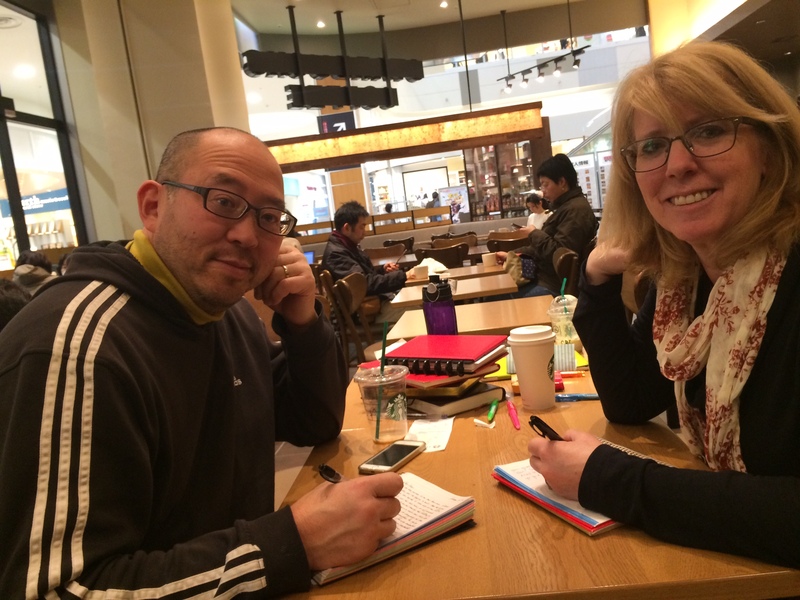 On Monday we finally had a chance to do this at Starbucks – we grabbed a few good pens and the four journals and wrote away! We’ve also had a “guest” writer or two. When my sister Beth visited us once I asked her to write her impressions in the book of each of the children at that stage in their lives. I know some day they will treasure that letter, and hopefully each of the letters in their book that have been lovingly handwritten over the years by the people who love them most in the world. Newsletter/Christmas Card Books – Part of our role as protestant missionaries includes writing frequent newsletters to those back at home. We write five or six a year, as well as sending out some sort of creative Christmas cards that we mail out to everyone. In addition to one master clear-file book that I use to keep one copy of all of our newsletters, I started a number of years ago making clear-file notebooks for each of our children. 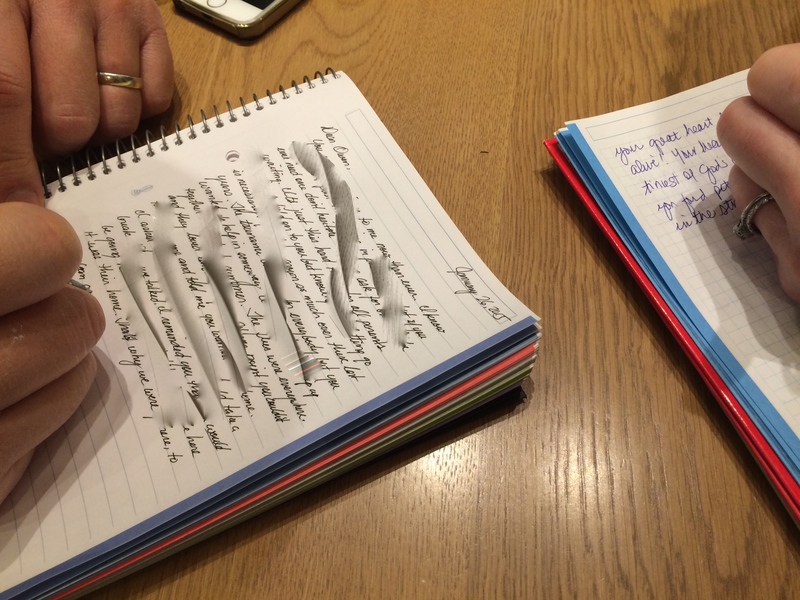 They will later be able to go back through their own newsletter notebook and read a unique perspective–their parents’– of our family history. Digital Photo Books – I don’t have time for scrapbooking, but I do try most years to create a simple $30 digital photo book. I also do smaller ones after major trips to the U.S. or big experiences, like a move. Our kids love to look through these! It’s also a great way to help them remember our loved ones who live far away. Birthday Story: This is a tradition that started with my own mom when I was little. It is special whether or not you are adopted because all children want to know the story of their entrance into the world. On the night of each child’s birthday, they have special mom time when I tuck them in. And I tell them their birth and adoption stories. As they have gotten older, I have included more information that they may be ready for. They always look forward to this sweet time, as do I. It is often a chance, too, as we lay there in the dark and snuggle, for them to ask questions that may be are harder to ask at other times. Letters to Jesus: Two years ago we began a new tradition that became more defined last year through this blog article. On New Year’s Eve (which is a day or two before taking down the Christmas decorations) we gather and each of us writes a short note to Jesus. The letter serves as a prayer, asking him for help in an area of our lives where we need help this next year. This past year one child asked for more self-control; another for patience. Our youngest asked for help in not being so afraid. Eric and I wrote our own as well. Then we shared our notes as we sat in a circle, and the person on the left prayed for the person who just shared. It was so sweet to see even our five year old praying for his big sister! When we put away the Christmas decorations, we each put our notes in our own Christmas stocking, and packed them away till next year. It is fun as we decorate for Christmas to read our notes from the past year and realize how God has been at work in our hearts. I’m looking forward to us growing up with this ritual, and reading over our letters over the year as a testimony to the hand of God in our lives. (It’s not too late – you don’t need to put yours in the stocking but it’s a great time as the first month finishes to sit down with your family and do this for the coming year!). 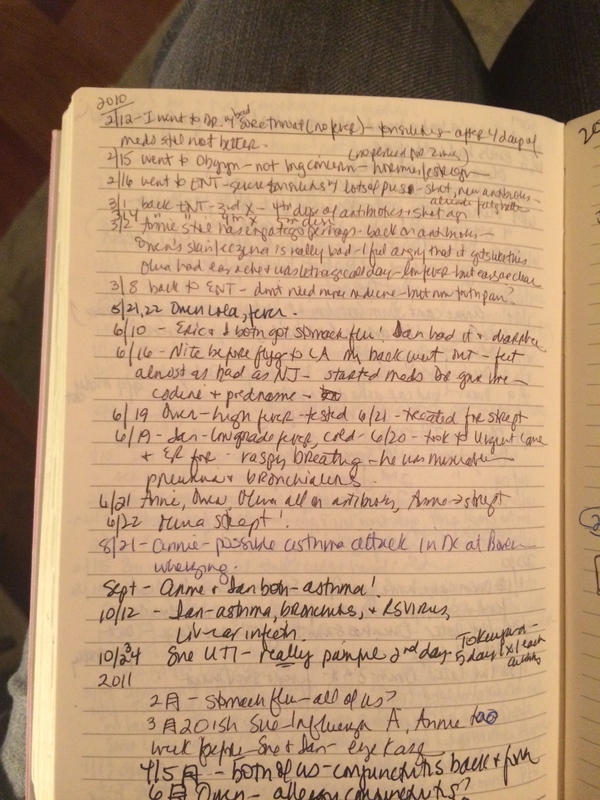 Ten-Year Journal: This last one is for me! In addition to using one myself (thank you, Claire, for the original gift! 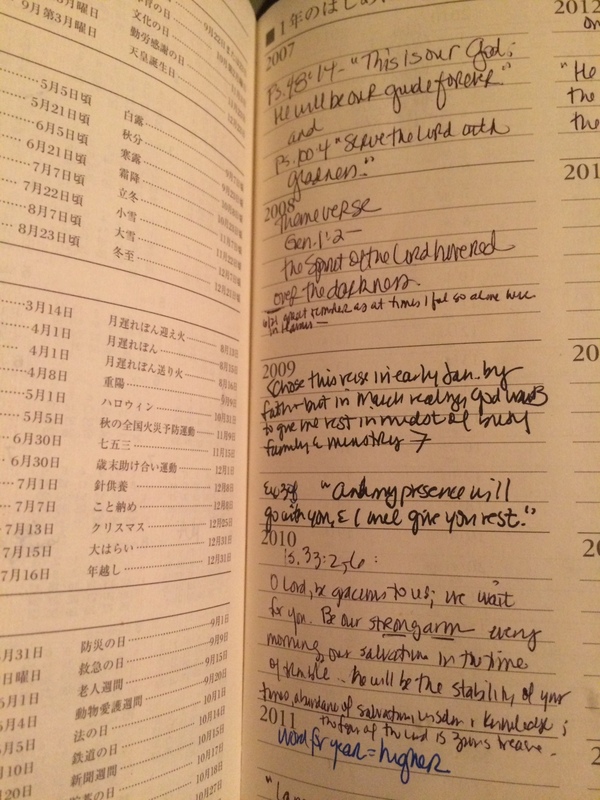 ), this journal has been one of my favorite gifts for girlfriends over the year. I cannot believe I am already in my ninth year. 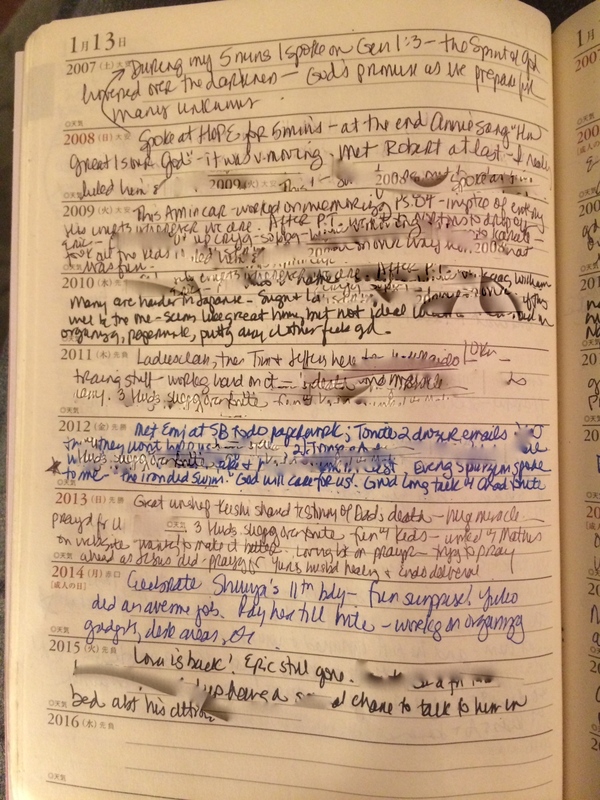 There is space for ten entries on each of the journal’s 365 daily pages where I write down about four line’s worth that somehow summarize my day, or I share one significant memory, challenge, triumph, special event. I did not think I could start a new habit and do this every single night – but it’s been nine years! I’ve missed a few here and there but I really hate missing even a day, and try and go back and write if I miss. Because reading over what has happened on this day for the last nine years is so amazing! keeping general track of my weight over the years (for better or worse!). Cakes and bedtimes – On every birthday I love to stay up very late the night before the celebration and make a theme cake that is unique and will speak to each of them on that particular birthday (see some of them here), I love writing the theme in my book, as well as the time I went to bed for that cake. (Most recent “Diary of a Winsome Kid” cake: 3:30 am!). In the back, I keep track of all of our family illnesses, shots, etc. Just recently I recognized an important pattern — that our oldest son gets strept throat every. single. year. I never realized it before in the midst of six of us getting sick at different times. 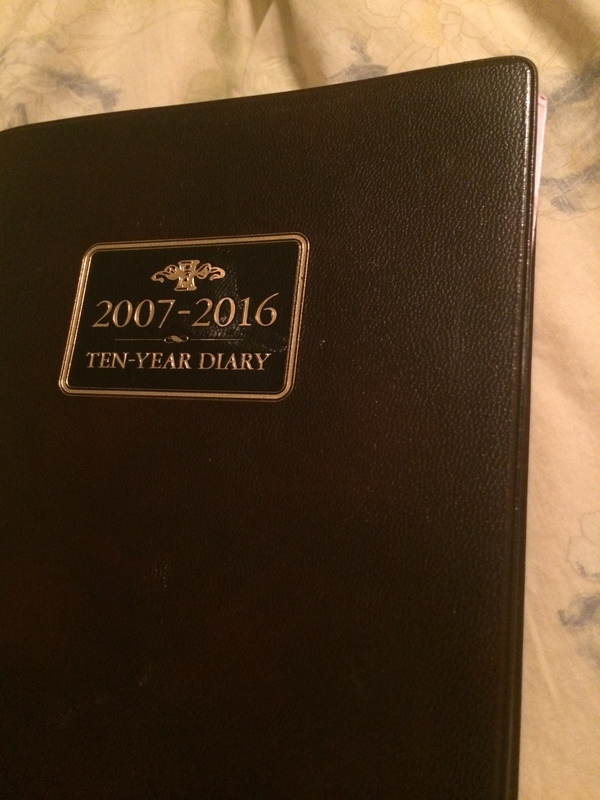 To buy your own ten year journal– you can get them at stationery stores or online in Japan; I found several different versions on Amazon as well. For as little time as it takes to write a few sentences, this ritual and journal can become a gift to yourself – and to your family — as you use it over the years. What are rituals that you do to celebrate family? I’d love to learn and add to our own family traditions. It’s really worth it.